Pencils Books and Dirty Looks: 100 Follower Giveaway!! Quick! 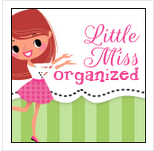 Head over to Amy at Little Miss Organized for her 100 follower giveaway!! She is giving away lots of wonderful prizes (one being my Parts of Speech Jar)! The giveaway ends soon so hurry, hurry, hurry!! Growing Firsties is having a Pete the Cat Giveaway that also donates to Hurricane Sandy Relief! Only a few hours left!! New Christmas Product and Sale!! How do you plan for a substitute teacher? I did it! I survived the first trimester!